I have throughly enjoyed the new handle set! It looks georgous with the new stained entry door! Ease of installation and beauty were the qualities that drew me to purchase this handleset. Thank you. Great look and easy installation with adjustable handle. The adjustable handle really saved me from having to do patch work on the door. 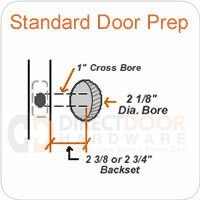 Directdoorhardware was great on the phone with clarifying some questions for me as well as a minor shipping issue. Would definitely buy from again. I had an excellent experience ordering from Direct Door Hardware. I ordered two handle sets for my entry doors and one of the handle sets was keyed incorrectly. I called the company and they quickly sent me a replacement. The handle sets look and work great! Lockset arrived in good order, there was a problem with rekey(smartkey) but that was resolved. 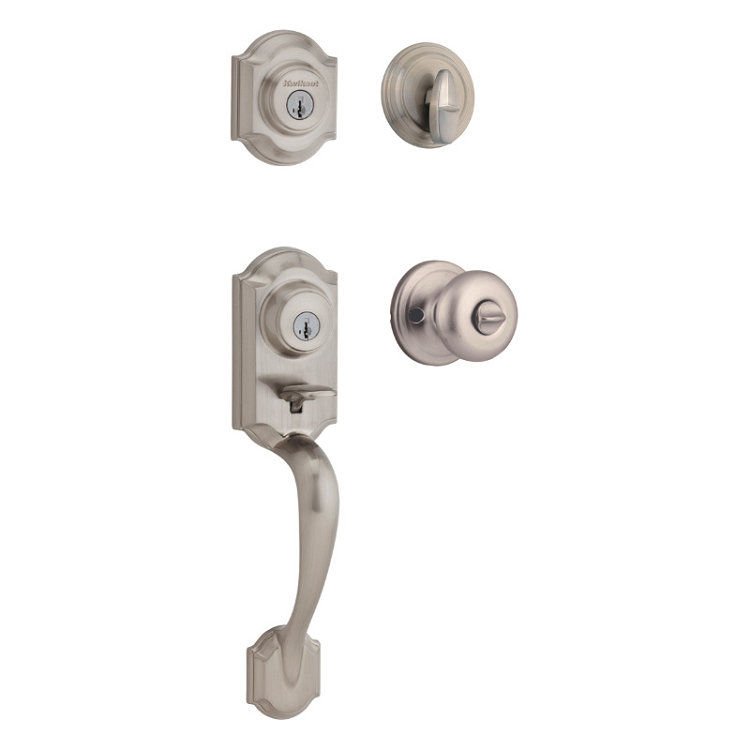 I am looking at the Kwikset Montara Two-Point Handleset. I currently have a double cylinder cameron dedbolt and knob set on this door and am wanting to replace with the Mortara set. Is the inside of the cameron deadbolt and knob that I currently have compatible with the exterior of te Montara - i.e., I could just replace the exterior and leave the current interor deadbolt and knob intact? Reason I ask is that the exterior will be Oil rubbed bronze and the inside is satin nickel - I was afraid if I ordered a double cylinder set with a satin nickel cameron knob I'd end up with the inside of the deadbolt in ORB. Just wanted to check before ordering. My current set up also uses Smartkey. Is there a dummy handleset available for the Mantara? If so how would I order it? Does the double cylinder have a key lock on interior of deadbolt as well as exterior? my current entry door has a locking knob and dead bolt above - holes are 5.25" to center will the ones spec'd at 5 1/2" work? 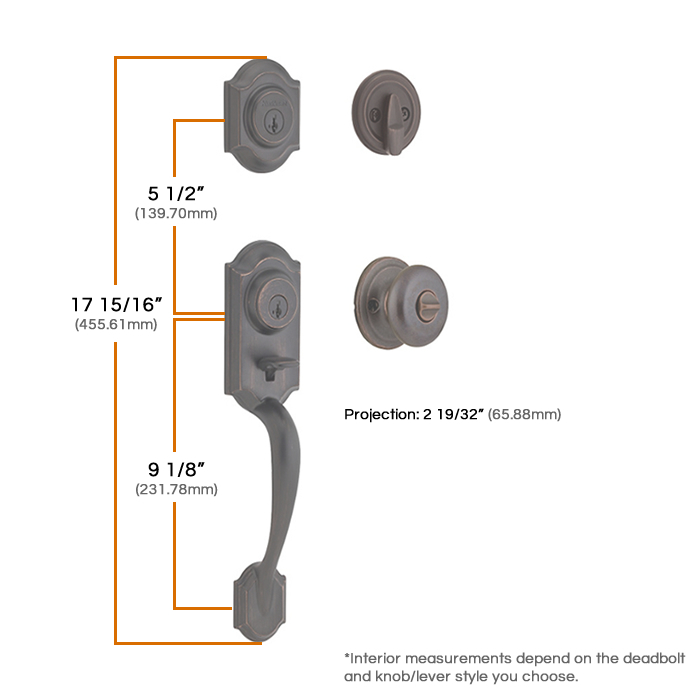 For Kwikset Montara 2-point handleset, can I purchase the exterior and interior separately? If I want to change the interior door knob to lever, where do I purchase the interior lever? Thank you!